An unusual rarely seen cultivar that is incredibly beautiful. 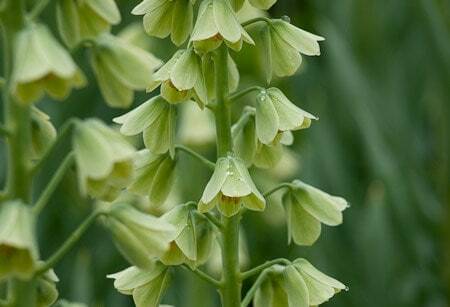 The flowers emerge from bud a creamy green, and fade to near ivory white as they age. 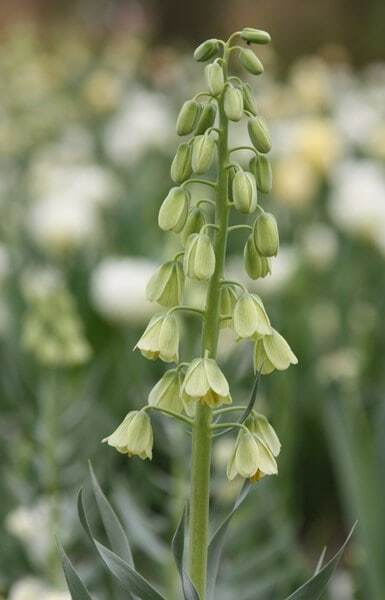 One of the tallest fritallaries, it can be quite imposing, and can send up a flowerspike up to 1m tall, which will usually carry between 10 - 30 flowers. 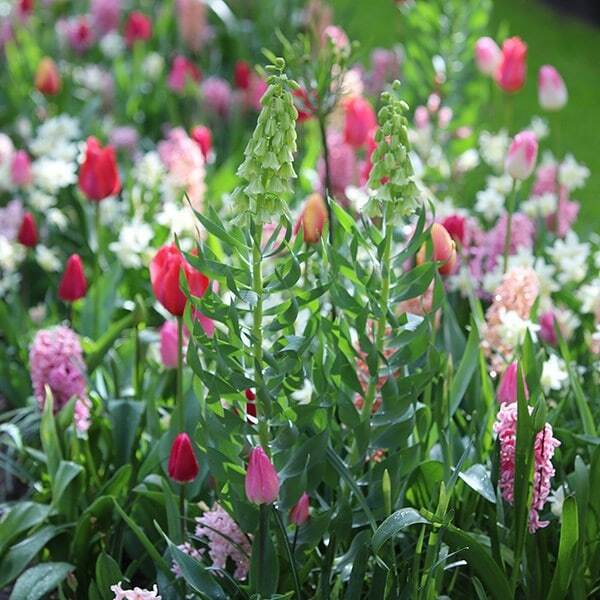 Plant it in bold swathes, or take advantage of its height and structure, and mix it in towards the back of your spring bulb display. Garden care: Plant 12cm (5in) deep in fertile, well-drained soil, and keep an eye out for slug and snail damage when the new foliage is emerging in spring. Keep reasonably dry while dormant.